Is there a speed plugin for fixing Pingdom “Leverage Browser Caching” errors? 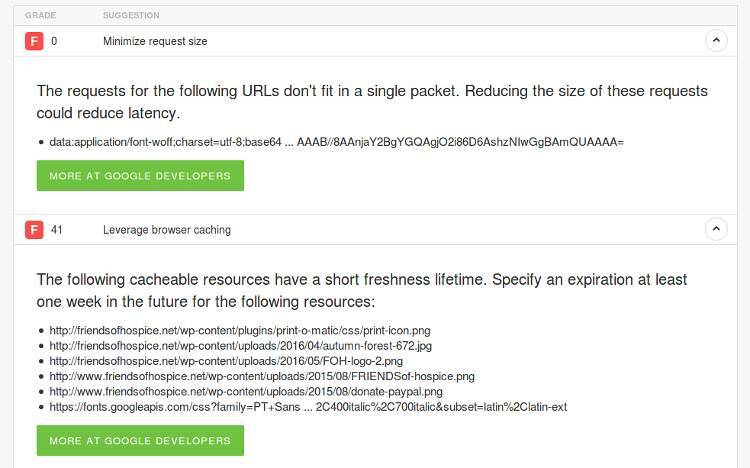 – Get under 2-second load times on shared magnetic hosting with free plugins and themes. Is there a speed plugin for fixing Pingdom “Leverage Browser Caching” errors? We demonstrate a common but little understood speed problem usually labeled as Leverage Browser Caching. Various tests report this fault condition slowing down pages. But they don’t explain much about what it is and how to fix it. It’s pretty simple – and there’s a nice plugin solution. We almost laugh out loud at the itemization of errors. First, there’s only one URL that doesn’t fit into a single packet causing the first error condition: Minimize request size. And that’s an HTTP request call to Google CDN for a webfont. Completely beyond our control and something Google should care about more than us. Let’s move on and just ignore that single call. But talk about harsh – an “F” (41). The second category, Leverage browser caching, says there are 6 errors. Five are image files and the last file is another Google font. Again, we have to ignore the errant Google font. Note: A simple font solution would be killing (removing) Google fonts and use the native browser fonts in the CSS stack. We could do this with Remove Google Font References plugin. 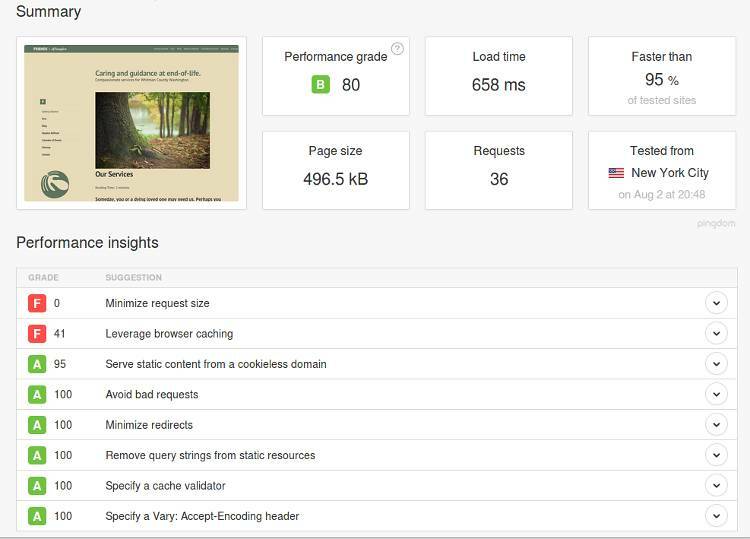 But we feel the fonts add to the page “style.” The pages are pretty fast already and load time is more important than getting a good Pingdom score. The following cacheable resources have a short freshness lifetime. Specify an expiration at least one week in the future. This plugin appeared abandoned but it’s author returned and updated it recently. While this isn’t always necessary, it’s a good sign the plugin is “fresh.” We’ve used it for years. A first-time visitor to your page causes many HTTP requests, but by using the Expires header those components become cacheable. This avoids unnecessary HTTP requests on subsequent, repeat page views. The web server uses the Expires header in the HTTP response to tell your visitor’s browser how long a component can be cached (stored). The Expires response header gives a date when a page component becomes stale. Using a far future Expires header affects page views only after a user has already visited your site. It has no effect for first-time visitors and the browser’s cache is empty. The impact of this performance improvement depends on how often users return. About half of your users or more could be return visitors. Enable the Far Future Expiration Header plugin. 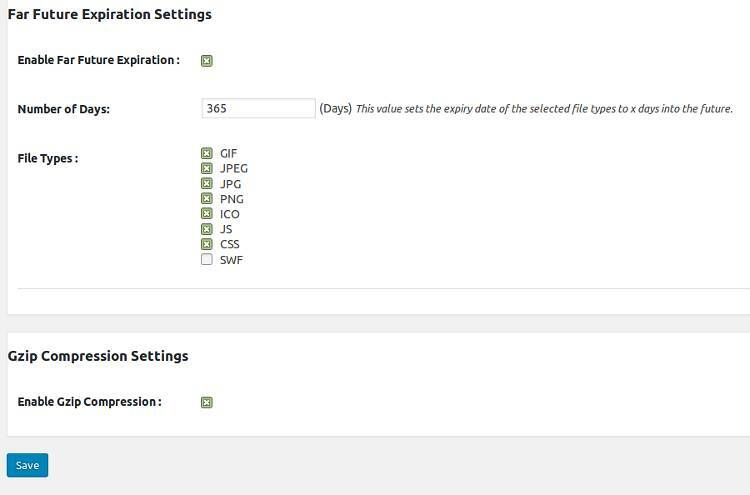 Select all of the file types you are using. The plugin doesn’t add page weight to your site. We call this a “weightless” plugin. Will you see a speed improvement? It depends. If you didn’t have Gzip already activated on your server, you will see a big improvement. You’ll have a better Pingdom score. Returning visitors will have a better user experience because images and other assets are already on the browser cache waiting. You’ve paid homage to a theoretical speed improvement. The effort to make it happen is minimal. So why not just do it? We do – always. Leverage Browser Caching score is now an “A“. The only file that can’t be cached is the webfont from – ahem – thanks, Google. Previous PostPrevious Tiny Hestia free WordPress theme: mobile speed review. Next PostNext Online speed test scores are especially useless for mobile speed improvement.